It is common knowledge that insurance companies are in business to make money and avoid paying out on claims as much as possible. 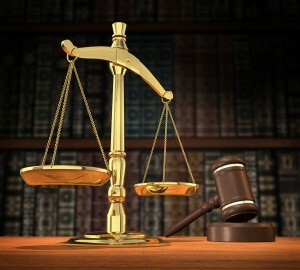 This means that it is not only wise to have an attorney to work on your side but a necessity. So how do you choose the best attorney to help you with your hurricane insurance claim after your home or business has been damaged by a Florida hurricane? It is far smarter to decide on an attorney before you have to make an insurance claim or your property is damaged to minimize time later and make sure you present your claim right from the beginning to avoid making costly mistakes that could seriously limit the amount of compensation you receive. A Florida hurricane attorney can help you receive the appropriate funds needed in order to restore your property completely to the way it was before a hurricane damaged your home or business. Find and decide on an attorney, store their number and make sure to keep it with you at all times. There are literally thousands of attorneys throughout the state of Florida of varying talents and levels of expertise. Your first step should be to seek out an attorney or law firm that specializes in helping hurricane victims and battling insurance companies. You may already have an attorney to represent you in criminal matters, an attorney to help you with estate planning and family matters and an attorney for business matters. Surely you searched for the best you could find in each of these fields and now you should choose an attorney or law firm that specifically specializes in this field. Not only does this mean that they have expert knowledge of the ins and outs of the legal side of the process and know what you deserve to receive but also know the importance of getting you the right compensation. Remember that when it comes to receiving a check for any hurricane damage it is not only the amount you receive that is important but how fast your receive your money. Obviously those homeowners who have attorneys representing them are much more likely to have their claims reviewed and handled faster. To further narrow down your search look for attorneys who demonstrate their knowledge and credibility. Law firms who exhibit their knowledge through Twitter, Blogs and offering valuable knowledge show how serious they are about their area of expertise and really providing value to their prospective clients, not just collecting checks. If you are searching via the Internet then choose a law firm that provides their full contact details including phone and address. Finally interview any prospective attorneys and law firms at least over the phone and make sure there is good synergy. You not only need a knowledgeable attorney to represent you for your hurricane claim but one that is actually prepared to go to battle on your behalf and demand that you get what you are owed.